Fr. Eugene Ulrich, pastor of the Church of the Annunciation, performs a blessing of the Parish Council and commissioning of new members during a recent Mass. Members of the council are, from left, Molly Moessinger, Wayne Drzymala, Tom DiScipio, Mark Ludwig, Mark Bergmann, Deborah Keenan and Frank Wawro. Missing from the photo is Paula Penepent. “We also work with both the Finance and Buildings and Grounds committees to help provide guidance on parish priorities. Throughout the year we bring in a representative from various ministries within the parish to see how we as the council can support their work. The Church of the Annunciation is located at 7580 Clinton St., Elma. For more information, please visit the parish website at www.annunciation.cc. 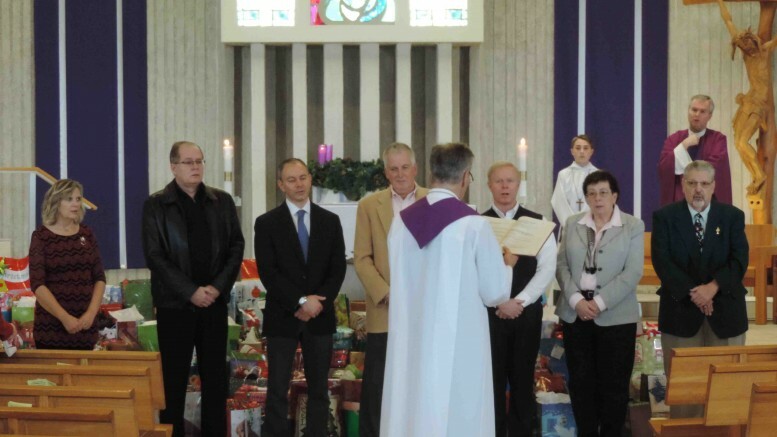 Be the first to comment on "Church of the Annunciation’s Parish Council prepares for new year"